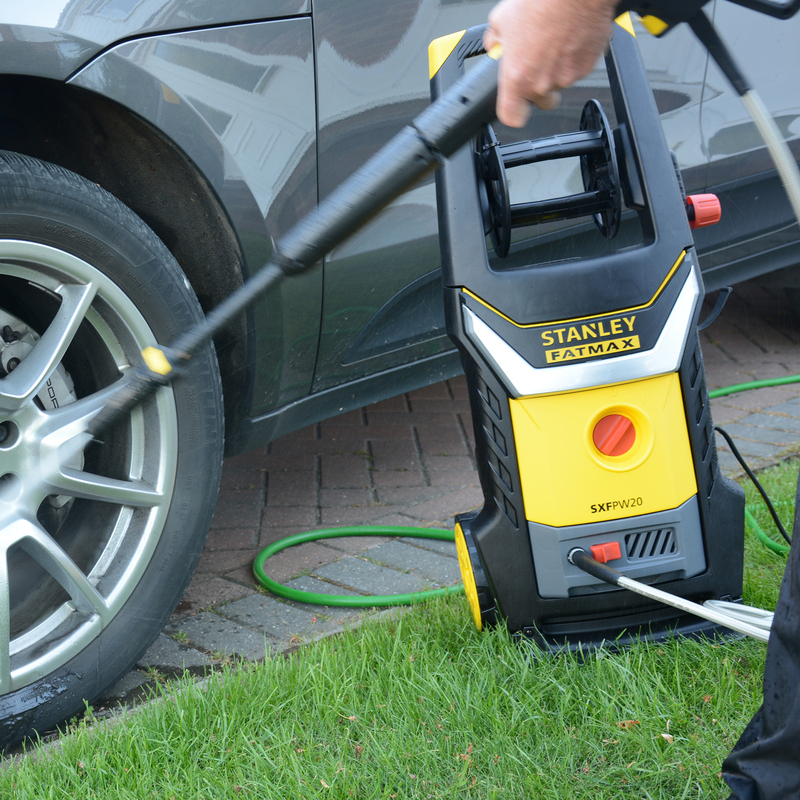 STANLEY® offers a new range of high pressure cleaners, tested and designed to offer the highest performances in challenging environments. 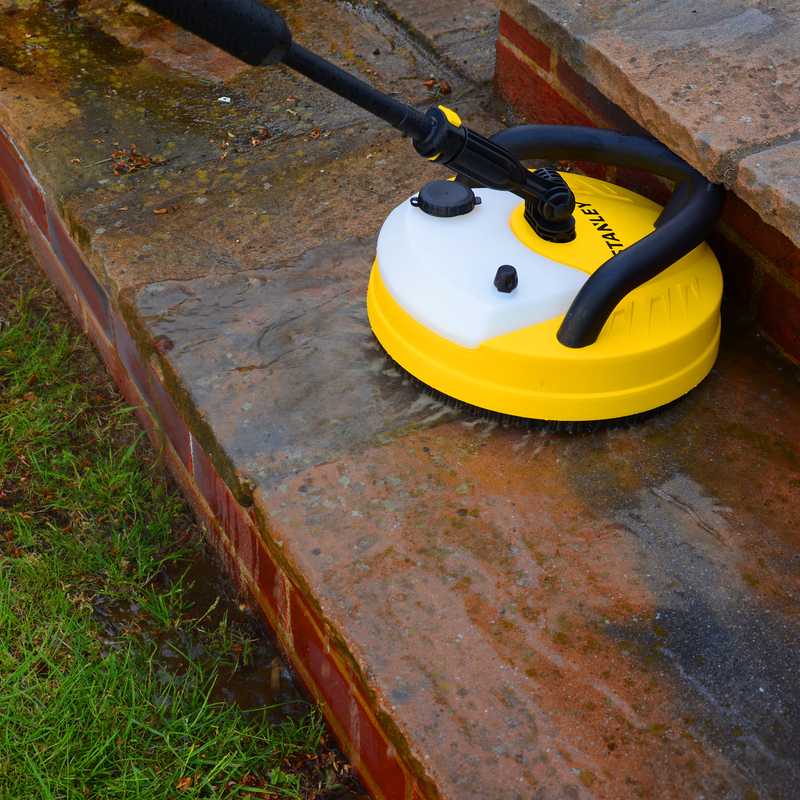 Meticulously designed to meet all consumer needs for whichever surface, or whichever situation that may be. Axial-piston wobble plate pump with tempered stainless steel plungers and automatic safety valve with low pressure by-pass. 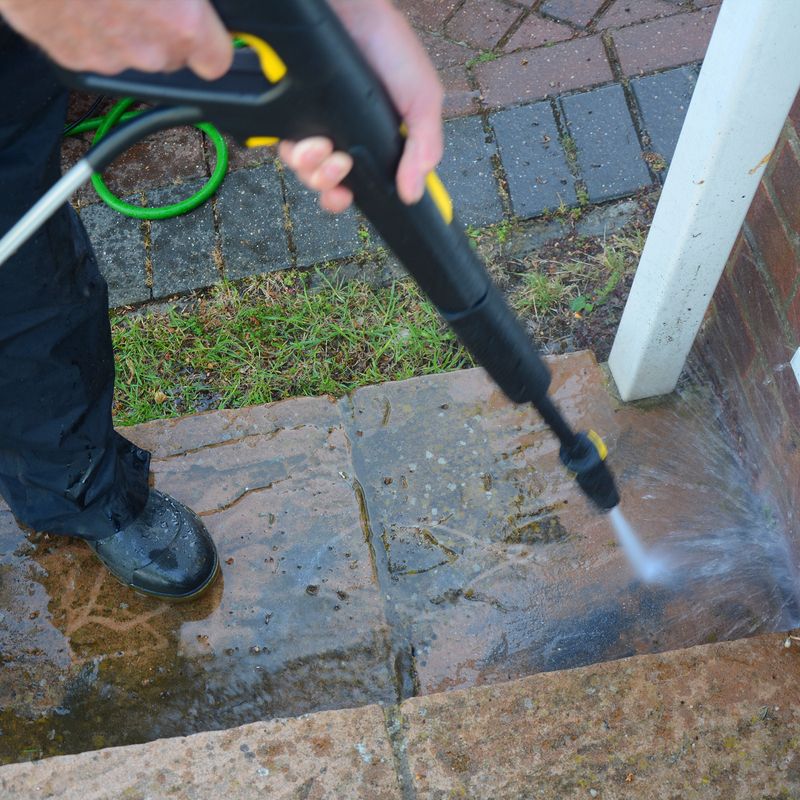 Pressure reduction in to the aluminium pump when releasing the trigger gun and quick water intake fitting with inspectable filter. Static hose reel with locking system, rotative ON/OFF switch , quick hose connection and sturdy 175mm rubber tread wheels for easy moving and transportation. 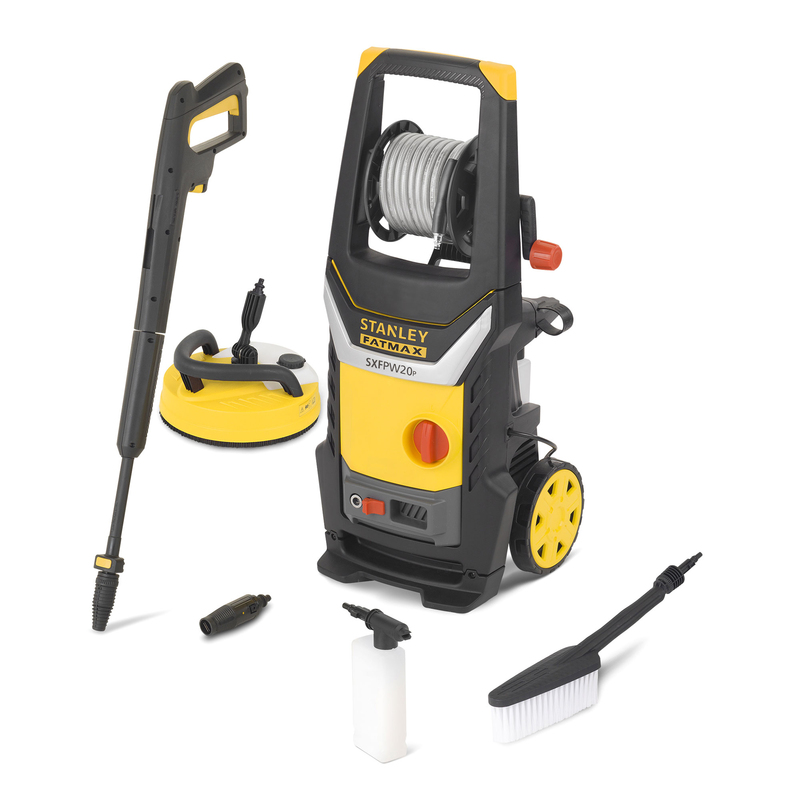 Built-in accessories holder on the body of the pressure washer keeps everything safe and to hand, while the soft-grip handle provides comfort and greater control.